When you first install PlumbingCAD it will automatically be in Trial Version mode. You can choose to purchase a license and activate your copy any time during or after the trial period. The easy-to-use Activation Wizard will always be available to walk you through the process. To ensure that you have uninterrupted use of PlumbingCAD, it is recommended that you start the activation process a few working days before the trial expiry. For more information view the License and Subscriptions page. 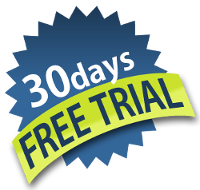 Get your free Trial Version now by clicking the Download button.